Limited resale option! Standard entry to event! All general release now sold! Limited resale option! Beat the queues with queue jump entry! All general release now sold! Tickets on sale 9am, Thursday 28th February. Every now and then I top my collection up with a few bits that I might not have but a few months ago I became obsessed again, found myself in a full on nostalgia trip and started searching for everything I could get my hands on! The result ..... about 200 more records that have never really seen the light of day other than a few big speed garage collectors collections! That on top of all the other bits I’ve collected over the years since the original Niche closed its doors in 2005 means hundreds & hundreds of new / unheard big Speed Garage bits that have never really been heard by most Old Skool Niche heads like myself. But what’s the point in having them if no one hears them? THEY NEED HEARING! 6 HOUR FULL VINYL SET!!! And it also gives me the chance to play as many of these new / unheard records as well as all the classics! An hour or 2 hour set wouldn’t be enough. This is a night for people that love that old Skool speed garage sound! I want to keep this intimate and to the right crowd so I will be limiting tickets and putting them on sale as first come first serve. I know this will ensure the people that wanna be there the most will be!! This is 100% speed garage & early 4/4 only! No new stuff (unless it’s Speed Garage) & no 2006-2010 Bassline etc. Please don’t buy a ticket if that’s not you! 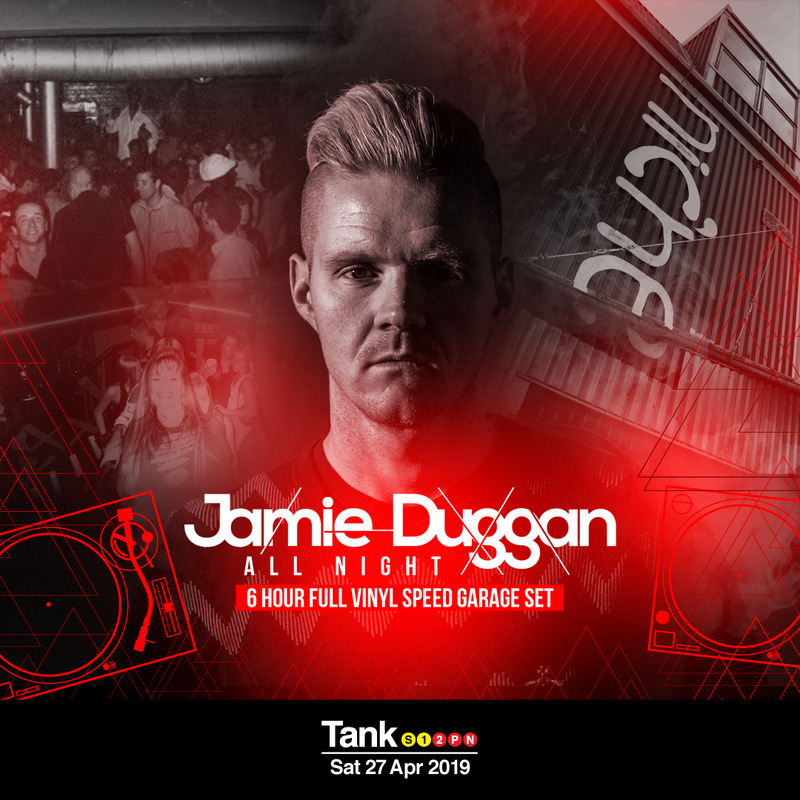 SATURDAY 27TH APRIL at TANK! For full event details, join the event page.